...that helped to create a nation! In this article Geoffrey Carter will be taking a look at battlefields as key elements in British history and how these can be incorporated into the study of history at various levels and in various periods. 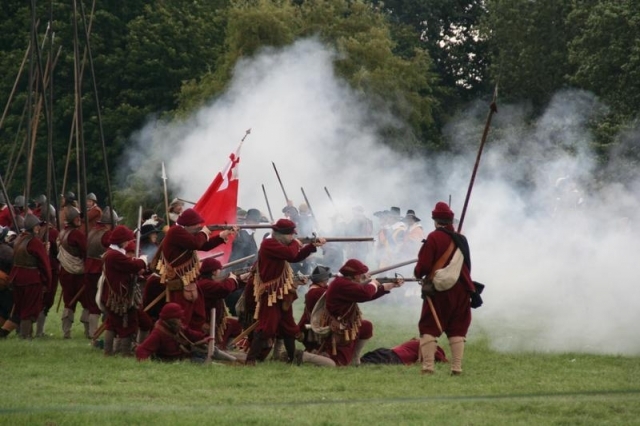 The regional nature of many historic conflicts is sometimes forgotten but this is an important aspect which makes battles and their historical context a useful topic for a local history and exploration. Throughout our national history battles, as opposed to the frequent small-scale fights and skirmishes involving a few people on either side, were relatively rare. Bringing two armies together in full-scale conflict was a hazardous business with the ever-present possibility of defeat. Too much could go wrong and often did. The plans of the Lancastrians at Towton, one of the defining battles of the Wars of the Roses in 1461, probably did not include shooting arrows into the teeth of a blizzard! Consequently, those occasions when battles occurred are always worthy of close study.